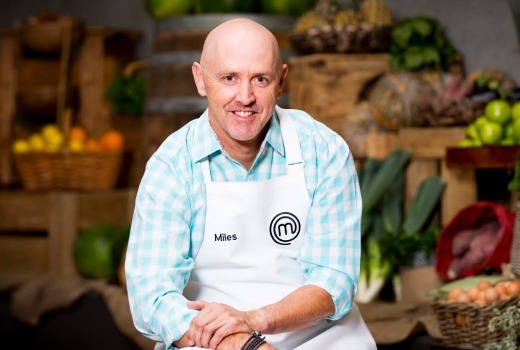 MasterChef topped the ratings last night with 1.04m viewers for TEN, and was also #1 in demos. Eliminating Queensland park ranger Miles Pritchett, TEN had little competition -although Nine ran a staggered schedule due to sports. Week 2 of Cleverman saw it fall from 452,000 to 330,000. It has quickly moved to niche viewing but remains highly-praised on social media. The debut of Rush Hour for Seven was uneventful at 349,000 but can safely sit on Thursdays without too much damage to the schedule. While TEN scored second place in primary channels, only to land third in network figures, the night belonged to Nine with its mix of news and sport. Nine network was 28.4% then Seven 24.2%, TEN 22.8%, ABC 18.3% and SBS 6.4%. Nine News was 1.02m / 928,000 for Nine then A Current Affair (822,000), Hot Seat (569,000), Thursday Night NRL (447,000 in 2 cities) and The Footy Show (445,000 in 3 cities). RBT was 299,000 in 3 cities. Seven was under the magic million all night with Seven News (996,000 / 951,000), Home and Away (721,000), The Chase (621,000 / 409,000), Highway Patrol (458,000) and Rush Hour (349,000 / 302,000). MasterChef Australia was #1 with 1.04m for TEN. Shark Tank drew 609,000, The Project was 608,000 / 488,000, TEN Eyewitness News was 499,000, and Law and Order: SVU was 319,000. ABC News (791,000), 7:30 (617,000), Rake (601,000), Kitchen Cabinet (531,000), Cleverman (330,000) and Antiques Roadshow (308,000) comprised ABC’s night. On SBS it was Sugar Free Farm (213,000), Poh and Co. (203,000), Made in Italy with Silvia Colloca (169,000) and SBS World News (158,000). Follow the Monkey was 109,000. Shaun the Sheep was tops on multichannels with 275,000. OzTAM Overnight: Thursday 9 June 2016. Cliché not Niche for ‘Cleverman’-an old Jewish woman helps the cute child hide from the insanely violent concentration camp prison?-a high security facility (in ‘the future’ mind you) easily stormed by two bogan/hipster hybrids? etc etc-astoundingly poorly written and acted in places-and again, still not very well regarded on IMDB. Yes, I’ve changed my mind about Cleverman. Was prepared to give it a chance with the first ep essentially setting the stage but I was disappointed with the direction that the second ep took, along with the clichés, tropes, clunky dialogue, and awkward acting. It was also too heavy-handed with it’s message(s). I wanted this to do well but I probably won’t watch next Thu. Poor form from Seven? Seven Network still managed to beat Ten, without really trying. Only because it has an extra channel without 7flix it would be behind ten. Of course 7and 9 are going to win network shares with an extra channel. They were usually winning before they had the extra channels. If Ten were to add a new channel it would mostly cannibalise their existing audience, same as it did for Seven and Nine. I doubt it would make much difference in the long run. I think Darcey09 was responding to Sully who gets excited when a show on Ten does well. Yet Nine would still have beaten Ten without the extra channel. Obviously, the extra channel helps, but it’s not the reason that both Seven & Nine consistently beat Ten. As I said, Seven is not really trying too hard at present but still beats its competition. Only due to loyal older demo. Which gives them total audience bragging rights, but not ideal pitch for advertisers. It was all a bit stock standard but I thought Justin Hires was a good replacement if you’re not having Chris Rock. The commercial networks generally treat Thursday nights as a wasteland but the MasterChef numbers show that if there is decent content viewers will turn the TV on. Unfortunately, Cleverman was always going to be niche viewing – scifi-ish, Aboriginal issues, thinly-veiled social commentary, on the ABC, etc are all things that don’t exactly translate to ratings in this country. Likewise with Glitch, which has also scored a second season. Both shows do well on iview & have solid overseas sales which help with funding. Ambitious concepts in Cleverman but not always well executed. Many of the cast looking like extras from Mad Max. As much as enjoyed Glitch, it was fairly derivative. Yes, I know the producers argued they were gazumped by other ‘the dead return’ shows, but all trace back fairly solidly to the original French ‘Les Revenants / They Came Back’ movie from a decade ago. Haven’t seen the 2nd ep of Cleverman yet. While there’s a good story and ideas lurking there, at least in the first ep the production values left me with a distinct feeling of ‘after-school / Saturday morning teen sci-fi series’ – despite the fact I *like* that genre! What a great week for Ten! All four weekday eps over 1 million (metro), smashing key demos and doing great shares as well. Melbourne didn’t reach 400k+ however in any ep this week.